The first meeting of potential members was held on Wednesday, September 25, 1996, at the home of Phyllis Bates. Organized as a group, two more meetings were held that year at La Colonia Recreation Center in Solana Beach. Take a look at the notice announcing the third meeting! The first official meeting was January 7, 1997, when Colleen Davis was elected president and program chair. 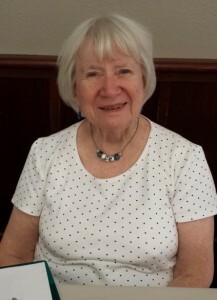 Phyl Bates was elected secretary, treasurer and mailer of meeting notices. Dues were set at twelve dollars for the year. The 1997 roster included 19 names. 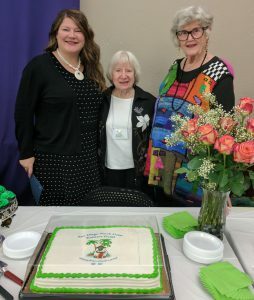 Of those charter members, Colleen and Phyllis are the only ones listed in the current roster. Read Guild Newsletters from 1997 here! At the end of 1998, the Guild had grown to the extent that the members decided to elect four officers. The Guild continued to grow and evolve. Chairpersons were chosen to fulfill various functions beginning in June 2009. We add positions as needed to satisfy the mission and goals of the Guild. As Guild membership grew, opportunities to knit together outside of the general meeting were added. The first sub-group, meeting in May of 1999, was called the HMO (Help Me Out). By October of that year the “Clinic”, RN (Rather Normal) and MD (Master Design, now AKG) groups were added to allow members closer contact with others with similar interests and skill levels. Members Teaching Members (MTM) sessions began in April 2007. Quarterly Finishing Sessions were added as an impetus to get more members to complete projects to show at Guild meetings. Holiday parties began in 1998 with a pot luck luncheon and by 2000 the event was moved to a restaurant for festivities. In 2001 the holiday fashion show was added and the celebration was held at a country club for the first time. 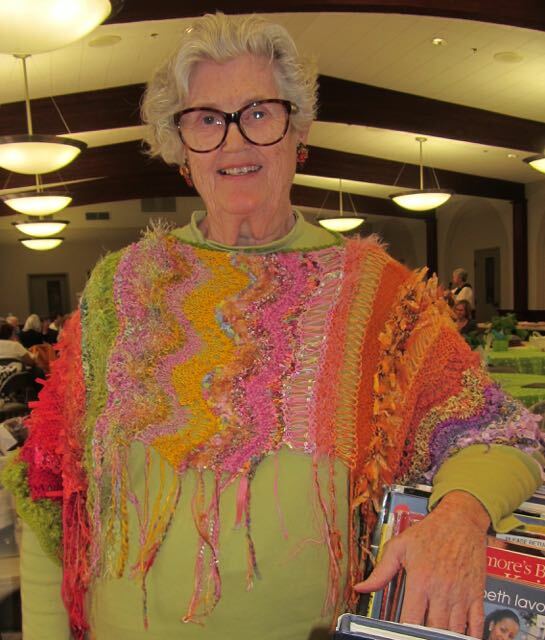 Colleen Davis and Phyllis Bates’ vision has grown into the present day San Diego North Coast Knitters Guild. Our Guild was named the North Coast Knitters at the first official meeting in 1997. In each succeeding year the number of members increased. Knitters from beyond Encinitas, in fact, from all over San Diego county joined. In 2009 we changed our name to reflect the geographical diversity of our membership. 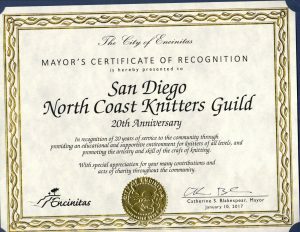 We became the San Diego North Coast Knitters Guild. Today we welcome members from all over California as well as out-of-state. Our new domain name www.SanDiegoKnitters.com makes it easy for everyone–including visitors and newcomers to San Diego–to find us. 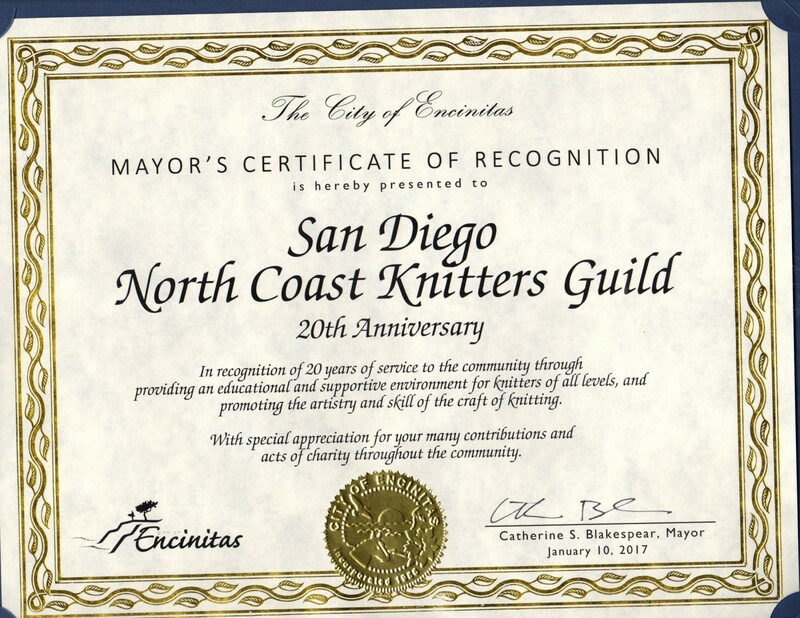 Our Guild name, however, remains the San Diego North Coast Knitters Guild.